The graying of the baby boom generation is a good news-bad news proposition for the counseling profession. The good news? Numerous mental health experts believe baby boomers have largely come to disregard the stigma that their parents once so strongly attached to mental health services. As a result, many professionals anticipate that baby boomers will readily partake of counseling services as they deal with issues of aging. That should make counselors stand up and take notice, especially considering that the 78 million members of the baby boom generation will begin turning 65 in 2011. According to statistics from the Institute of Medicine (IOM), the number of adults age 65 and older in the United States will almost double between 2005 and 2030 to more than 70 million, constituting almost 20 percent of the population. American Counseling Association member Chris Johnson, a professor of gerontology and sociology at the University of Louisiana-Monroe (ULM) Institute of Gerontology, believes aging baby boomers could do much in the coming years to move counseling — and particularly gerontological counseling — even more securely into the mainstream. The bad news? Johnson and other counselors worry the profession isn’t truly prepared to fully seize this opportunity. While the 2008 IOM report Retooling for an Aging America: Building the Health Care Workforce doesn’t focus on counseling, it predicts that as baby boomers age, “they will face a health care workforce that is too small and critically unprepared to meet their health needs.” The report urges initiatives to boost recruitment and retention of geriatric specialists and emphasizes that more health care providers need to be trained in the basics of geriatric care. The same report says about 4 percent of social workers specialize in gerontology — roughly one-third of the estimated need. 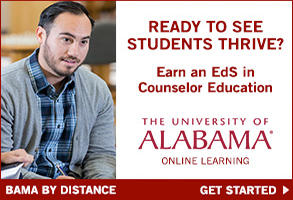 In that vein, Johnson invites interested counselors to learn about the 18-hour online gerontology certificate offered through the ULM Institute of Gerontology by calling him at 318.342.1467 or visiting ulm.edu/~gero/. Beyond questions of whether most counselors are properly prepared to help baby boomers address issues of aging is the problem of Medicare reimbursement. Barstow is optimistic that LPCs can achieve Medicare reimbursement, but not until they grasp the seriousness of the situation and start to consistently and energetically advocate for themselves in large numbers. ACA is currently lobbying congressional offices and urging all state counseling branches to get their members engaged in grassroots work in support of Medicare reimbursement of counselors (see Washington Update, p. 12). While Greer says much of the stigma surrounding mental health services has dissipated during the baby boomers’ lifetime, she thinks some stigma still remains concerning seeing psychiatrists, who are covered under Medicare. 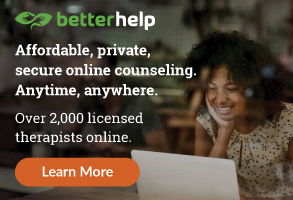 More important, she says, counselors are generally more accessible than other mental health professionals currently covered under Medicare, such as psychologists and clinical social workers, especially in rural areas. Greer hopes politicians will give weight to the issue of accessibility when considering legislation that would include counselors under Medicare. “If you have such a large portion of your population that is aging, why wouldn’t you want to ensure that they have some access to mental health care?” she says. Johnson, who maintains a part-time private practice in which he works with middle aged and older couples and individuals, doesn’t see Medicare reimbursement of counselors as a critical issue. Generally, he says, baby boomers will enter their later years better off financially than previous generations and will likely carry private insurance rather than relying solely on Medicare. In addition, Johnson believes baby boomers are what he terms “better shoppers for health services,” in part because of their generally higher levels of education. Instead of automatically accepting the cheapest alternative, he says, they search for higher quality services that will meet their needs and pay close attention to credentials when choosing service providers. Johnson thinks this generational mind-set will steer many baby boomers toward professional counseling services, even if those services aren’t covered under Medicare. Still, Johnson is a proponent of counselors and marriage and family therapists attaining coverage under Medicare. “And with the number of counselors and MFTs out there, we have the potential to change the current situation,” he says. Despite the obstacles, those who work with baby boomers and older adults are energized by the opportunities this population presents to the counseling profession. “It’s really an exciting time for counselors right now as we transition to this huge demographic change,” Johnson says. The baby boomers’ sheer numbers, their openness to counseling and the fact that they are entering a new and challenging stage of life have some professionals anticipating that an unprecedented demand for counseling services could be just around the corner. In other words, the opportunity may exist for counselors to make themselves indispensable in helping aging baby boomers confront a wide spectrum of issues — and perhaps increase awareness of counseling as a valuable service for succeeding generations in the process. In addition, while Greer serves as president of AADA, the division is creating downloadable brochures on topics related to aging that counselors, doctors and other service providers can display in their offices for clients. The hope is to reach aging clients while simultaneously educating other service providers about the unique needs of baby boomers and older adults. “We need to get doctors to recognize that healthy aging is not just about the physical, but also the mental and emotional,” Greer says. You don’t have to specialize in working with baby boomers to guess that issues surrounding retirement loom large for this age group. Often chief among their concerns is how they will survive financially. On the basis of the statistics, many baby boomers will either delay retirement or reenter the workforce in some capacity after retiring. According to the U.S. Census Bureau’s 2008 Statistical Abstract of the United States, 5.5 million individuals 65 and older were in the workforce in 2006; that number is projected to reach 10.1 million by 2016. In addition, he says, retired males often experience a lack of purpose. “The husband may suddenly want to rearrange everything in the kitchen when he has never shown any interest previously,” Johnson says. “Again, this can cause tension and fights.” In his practice, Johnson often sees older male clients who, in the winter when they can’t get out and work in the yard, become depressed, in large part because their level of social engagement is decreased. In some cases, he says, this leads to chronic TV watching or even a dependence on alcohol, gambling addiction or other pathologies. But counselors also need to look for other issues that may be triggering depression and stress among baby boomers. In many instances, Greer says, this involves evaluating what is happening in the rest of the baby boomers’ family system. For example, she says, many baby boomers are helping to raise their grandchildren because their adult children have either returned home or are not responsible parents. In the years ahead, Greer also suspects that counselors will see many baby boomers trying to serve as caregivers for their spouses who have Alzheimer’s. Maples adds that some baby boomers feel the squeeze on both sides, not only trying to assist their adult children or grandchildren, but also trying to provide care to their own elderly parents. Then there are issues that might not readily spring to mind. For instance, Maples says, because of growing health problems as they age and the ease of obtaining prescription drugs, many baby boomers struggle with alcohol and drug abuse. As is the case with almost any client population, employing effective counseling skills with baby boomers is only part of the equation. A significant number of baby boomers aren’t likely to waltz into any counselor’s office unless that counselor first uses effective outreach strategies. Johnson recommends that counselors write about or present on some of the following topics sure to pique the interest of many baby boomers. Interestingly, she says, this search for meaning doesn’t seem to be limited to baby boomers in the United States. In 2003, while teaching counselor education in Guatemala, Maples found that her students, the majority of whom were baby boomers, and their baby boomer clients often “spoke of being rootless and purposeless in their lives.” In fact, she says, many of them described themselves as “existing” rather than “living.” And when Maples presented a Learning Institute on spirituality and wellness in baby boomers at the 2008 ACA Conference in Hawaii, she says the session attracted baby boomer attendees from 12 different countries. Yet Maples has also found that even counselors who care deeply about helping their clients resolve issues related to spirituality and meaning are often unprepared to do so. “Hence my plea for more effective training of counselor education graduate students and professors to work with those searching for life, career and relationship fulfillment,” she says. But Maples has also observed that baby boomers often tend to be in a hurry. Perhaps for that reason, she says, life coaching is becoming more attractive to this age group, as are online delivery models. “I find that my certification as a distance counselor has been extremely helpful in working with these clients,” she says. 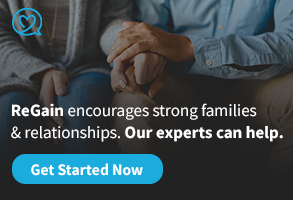 “The counselor needs to be equipped with and knowledgeable of brief therapy and also understand family structural issues,” says Johnson, who likes to use genograms with baby boomers and mature clients. He says a repertoire of cognitive and behavioral therapies and family systems therapy are very useful. In marriage therapy with this population, he acknowledges using some of John Gottman’s ideas (such as the “four horsemen of the apocalypse” — four key problems that lead to divorce) blended with transactional analysis and rational emotive therapy. Depending on the incidents or data one has reference to, psychopharmaceutical use in children and adolescents today is helpful, harmful, overenthusiastic or downright scary. And all of those factors are valid reasons for counselors to know more about the medications and how they are used, say many counselors and researchers. 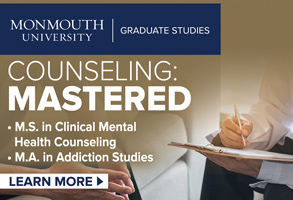 “Most counselors, as far as we know, are not trained in psychopharmacology,” says Elliott Ingersoll, president-elect of the Association for Spiritual, Ethical and Religious Values in Counseling, a division of the American Counseling Association. But he asserts that the issues surrounding that subject add up to the biggest mental health issue of our century. It’s a current fact that many children and adolescents are taking psychopharmaceuticals, say people studying the issue. According to the National Institute of Mental Health (NIMH), the use in children of several types of psychotropic drugs has increased sharply. Likewise, a number of counselors say a significant portion of their child and adolescent clients are on medications for mental health problems. “Whether we want to accept it or not, it’s reality,” says Jason King, a Utah counselor who has written on the subject. Given the high prevalence of prescriptions, it’s ironic that another reason counselors need to know more about these medications is the paucity of scientific information on how they work in children. Until the mid-1990s, there was little research related to children on any medication, including psychotropics. ACA member John Sommers-Flanagan, a professor of counseling at the University of Montana, points to studies showing that, often, physicians treating patients with depression spend no more than 15 minutes a session with them. Particularly in light of that, Vitiello says, counselors who know about medications and side effects may be able to detect safety issues. He notes, for example, that sometimes a patient beginning an antidepressant can feel restless or panicky or have insomnia, and those types of effects might come up in the discussion with the counselor. But in addition, say researchers, counselors can simply keep physicians informed about patients’ progress. King finds doctors are often happy to coordinate with a counselor. “Physicians love it because they have a hard time, a lot of times, working with these patients,” he says. Physicians sometimes tell him they have no idea how patients are doing after they have been prescribed psychotropic medications, he adds. Several researchers and counselors also emphasize that coordinating with physicians not only is possible, but also may be easier and more successful than counselors think. Ingersoll, for example, recently supervised a school counseling student working with a child who was on various medications that could be expected to put her to sleep. And, indeed, the girl was falling asleep in class. As information broker, Ingersoll says, the counselor needed to understand the child’s meds and then take what he calls a resourceful “one-down” position in talking to the doctor. He suggested the student counselor obtain the clearance form needed for sharing information with the physician and then tell the doctor, “I am really hoping that you can give me some quick education, but I also had a couple of quick questions for you.” When the counselor in training told the physician she had heard the medications’ side effects might include sleepiness and that the child was falling asleep in class, the doctor agreed to lower the dosages, which helped enormously. Sommers-Flanagan also suggests that counselors take a hint from physicians who coordinate with other physicians. When counselors begin treating a patient who is on medication, they might write a short note to the physician and possibly consider sending updates every few weeks. That cultivated relationship can prove helpful if a counselor later thinks that medications need to be adjusted, he says. King says that while some counselors, particularly those in private practice, may hesitate to actually refer patients for assessment for prescription medication, it is a standard practice among his colleagues. If a patient is not responding in therapy and agrees to the need for an evaluation for medication, he says, “I type up a brief letter that gives the diagnosis and my recommendations for certain medications, and I give it to the patient, and the patient will take that to the physician.” Often, he says, the physician will then call him and begin a collaboration. “It’s actually a really easy process,” he says. In fact, he adds, that kind of coordination has led physicians to refer patients to him. Counselors also need to understand medications so they can talk directly to clients about them, contend some counseling experts. Adolescents and their parents know a lot about medications already because of TV commercials, ads in magazines and information on the Internet, King says. At the very least, he believes counselors need to know more about the topic than the general public. He says the knowledge he gained in taking a psychopharmacology class as he earned his master’s in mental health counseling has helped him to answer client questions, make recommendations and clarify some myths. Sommers-Flanagan says he may inform clients that although a certain medication can be very effective, for a small number of people it “can have side effects that make you feel really uncomfortable from the inside out, really kind of awful.” He might also mention that some people on medications have strange and violent thoughts and make clients aware that, if that happens, they should tell him, their family or the psychiatrist. Ingersoll says counselors can also help patients deal with reticence or ambivalence over taking psychopharmaceuticals. “What we can do is become good information brokers in our role as advocates,” he says. King says some clients have told him that they are planning to get off of a medication. “And I say, ‘Don’t. Talk to your prescriber first.’” He then informs the clients of the side effects they could experience if they stop taking their medications abruptly. He also documents in his case notes that he covered that information with his clients. Sommers-Flanagan says counselors also need to know about medications so they can be knowledgeable in standing up for the counseling profession. Having long analyzed the science behind antidepressants, he says, “It’s really important to remember that the effectiveness of what we offer — counseling — is at least as powerful as the antidepressant medication in the long run. And we should not be shy about saying, ‘We have something really helpful to offer.’” And, he emphasizes, counseling does not include some of the negative side effects that antidepressants sometimes exhibit. Along the same lines, Ingersoll asks a thought-provoking question: “When was the last time you saw a commercial for counseling?” Sometimes, he asserts, counselors need to serve as the brake for all the information the pharmaceutical companies feed into the consumer culture. Ingersoll also warns that counselors need to educate themselves broadly about the psychological, physiological, cultural, social and developmental aspects of psychopharmaceuticals. A general course on the medications, he says, might have the “mechanisms of action, the side effects of the meds, the parts of the brain they are supposed to work on.” While that’s a start, he says, that type of information doesn’t cover some of the main issues. He warns counselors to look for the agenda in any piece of information. On the one hand, he says, a TV commercial for a drug is not a good source of information. On the other hand, he cautions, there are also groups with rabidly antipsychiatric agendas. To make things more complex, counselors may also need to continually reeducate themselves about psychopharmaceuticals, because what’s known about them may change rapidly in the coming years. One reason for this is that since the mid-1990s, when Congress discovered that “Children are not little adults,” more funding has been made available for studies of medications in children. Another factor is that medical research is reaching some real landmarks. For example, over the last two years, genomics researchers have been surprised at the explosion in findings linking genetic variation to health conditions. Connections already have been made for obsessive-compulsive disorder, autism, post-traumatic stress disorder and schizophrenia. A major purpose for that research is the discovery of new molecular medication targets. Brain imaging studies and research on brain chemistry are also likely to continue having implications for medications. Kathryn Foxhall is a freelance writer living in Washington, D.C. She has more than 30 years of experience writing on topics of health and health policy. Contact her at kfoxhall@ix.netcom.com. How should counselors educate themselves about psychopharmaceutical use in children? Following are some resources that experts recommend. Several researchers advise counselors to go directly to the current medical literature to read about psychotropic medications. PubMed at the National Library of Medicine site (nlm.nih.gov/) indexes all biomedical research. Using that search engine’s “Limits” to look for “review” articles on a topic, the reader can find overviews as opposed to incremental research. Benedetto Vitiello of the National Institute of Mental Health (NIMH) does caution that while review articles and textbooks are helpful, they can age very quickly, given the speed of the research. He also suggests that when studies are in the news, counselors can go to PubMed to read at least the research abstract for further understanding. Counselor educator John Sommers-Flanagan recommends the Journal of the American Academy of Child and Adolescent Psychiatry for regular updates. Counselor educator Elliott Ingersoll advises reading any study critically. For example, look for the authors’ affiliations and try to determine if a pharmaceutical company funded the study, he says. Journal articles usually include indications of any significant monetary relationship. Also look to see if the article was published in a journal or a journal supplement, because journal supplements are sometimes totally funded by pharmaceutical companies, Ingersoll says. Know the Diagnostic and Statistical Manual of Mental Disorders( DSM) to understand the language of symptoms, Ingersoll says. But, he cautions, also understand that the younger the child, the less accurate the DSM will be. It’s also helpful to simply obtain the pocket version that includes the symptom list, he says. Counselor Jason King recommends Ingersoll’s book, coauthored by Carl F. Rak, Psychopharmacology for Mental Health Professionals: An Integral Approach. Experts also recommend Basic Psychopharmacology for Counselors and Psychotherapists, by Richard Sinacola and Timothy Peters-Strickland, and the PDR Drug Guide for Mental Health Professionals. Sometimes, popular books can be “a little over the top,” but still informative, Ingersoll says. For example, he recommends Our Daily Meds by Melody Petersen, which is about the pharmaceutical industry. 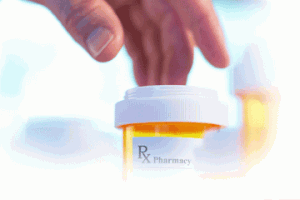 “Look at websites that are both positive and negative about medications. You will find both — and lots of them,” advises Sommers-Flanagan. “Google searches or other kinds of searches about the specific medications will give you a glimpse of what the pharmaceutical companies are saying, which will be very positive.” Look also at what some of the watchdog groups are saying, even those that are scathing critics of psychiatry, he says. In addition, the NIMH website ( nimh.nih.gov) has news and other information about medication-related findings, behavioral interventions and other research. Vitiello recommends the websites of the American Academy of Child and Adolescent Psychiatry ( aacap.org/) and the American Psychiatric Association ( psych.org/) for background on the most commonly prescribed drugs. The National Institutes of Health also offers a list of sites with extensive information on specific pharmaceuticals at nlm.nih.gov/services/drug.html. King recommends Epocrates.com for information on drugs and side effects. Ingersoll recommends Critical Think Rx (criticalthinkrx.org/), a site that recently came online and for which he consulted. It includes learning modules on psychopharmacology, including some of the broader issues, he says. Counselors and others also recommend looking online at the most recent treatment guidelines for mental health treatment and medications. Possible sources are the American Academy of Child and Adolescent Psychiatry, the American Psychiatric Association, NIMH, the Substance Abuse and Mental Health Services Administration and the Agency for Healthcare Research and Quality. Sommers-Flanagan calls continuing education workshops, such as those provided by the American Counseling Association, essential for counselors. King suggests taking advantage of the offerings of companies that provide continuing education credits, as well as workshops presented by professional speakers nationwide. Next month, more than 120 million voters will cast a ballot for president of the United States. In addition to those who have voted in several previous elections, there will be a large number who will be casting a ballot for the very first time. Call me an optimist, but I think that when you vote, you are empowered. So, regardless of who you vote for, I hope you will exercise the right to do so, keeping in mind that many people living outside of the United States do not have the same rights and privileges. You might agree with me that many public policy makers and other government officials just don’t have a very clear idea about what professional counselors actually do, nor do they understand the extensive training, expertise and background that counselors possess. I am hoping we will continue working toward ensuring that those who serve as public officials will indeed know what you do, and that is why I am challenging you to get involved. To make things a little more “real” for those outside the profession, I ask you to make sure that all elected officials know about the great work performed by counselors. 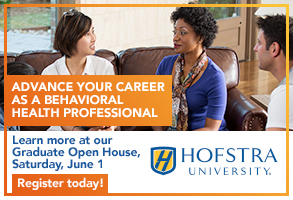 Whether you work in schools, private practice, community agencies, rehabilitation facilities, hospitals, corporations or other settings, you can do much to empower your profession, and do much for your clients, by letting those involved in public policy know about the good work professional counselors do. I also encourage you to “get involved” with what we here at the American Counseling Association are doing to advocate for the profession. You can help educate public policy decision makers about the importance of counseling services, including those being provided each and every day to members of the military, to the public at large, to those who can afford such services and to those who cannot. Advocating for your profession and for those whom you serve is critical to moving our agenda forward. We also need to look at how to form coalitions with those who will advocate with us on issues of common concern. Sometimes, pairing professional organizations with consumer groups can create a very strong voice for the advocacy of counseling services. If you need more information about the issues on which ACA is working or guidance on how to improve your advocacy skills on behalf of the profession, go to counseling.org/publicpolicy or call our highly trained public policy staff at 800.347.6647 ext. 354. Speaking of elections, in just another month or so, you will also be asked to cast a ballot for the next ACA president-elect. You have some highly qualified and dedicated members running for that office this year. There are also a number of open seats in divisions and regions. Please take a moment to read through the questions and answers from the president-elect candidates (see p. 38), and make sure you follow the directions on how to cast your ballot. Remember, voting is empowerment, so why not take advantage of the opportunity? ACA has been fortunate to have some wonderful leaders over the years. During my time with the association, I have been honored to work with more than 20 men and women who have served as ACA president. I want you to know that one of our “stars,” Dr. Ken Hoyt, who served as ACA president in 1966-67, passed away at the end of August. Our deepest condolences went to his family. I know that many in the profession have noted the incredible contributions that Ken made to the improvement of counseling. In next month’s issue of Counseling Today, we will be profiling the life and work of Ken Hoyt.